"I don't read books to criticize them. I read books because they are nourishing and life-sustaining and exponentially expand my world." 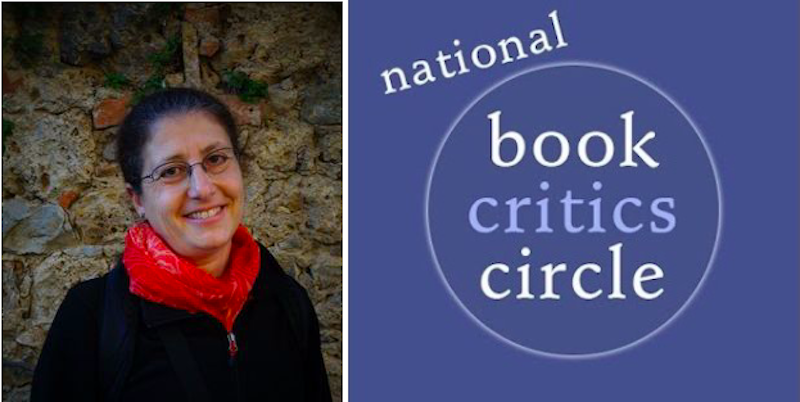 This week we spoke to DC-based writer, critic, and NBCC member, Martha Anne Toll. 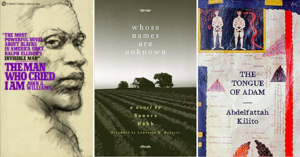 Martha Anne Toll: I’ll choose John A. Williams’ The Man Who Cried I Am and Sanora Babb’s Whose Names Are Unknown. Some of the most meaningful books in my life come from reading obituaries. Important writers are lost due to racism or sexism, or because more trendy, short-lived books drown them in the sea of popular opinion. After reading an obituary of John A. Williams in 2015, I looked for his masterpiece The Man Who Cried I Am and could only obtain it on a used book site. This epic novel is the story of a Black man who served in the navy in World War II and returns to a virulently racist America where he cannot establish himself as the gifted journalist that he is, nor live the life of his white counterparts who were welcomed back into society. White police are randomly killing Black boys, Williams’ protagonist cannot get a job and believes the government is in a conspiracy to crush Black lives, and loving a white woman poses mortal risk. The book was published in 1967. Williams is of equal caliber to the literary titans of his generation-Norman Mailer, Bernard Malamud, Joseph Heller, Philip Roth, and Saul Bellow-and I was heartbroken that I hadn’t heard of him. Similarly, I found Sanora Babb after her death in 2005. Babb’s searing novel on life in the Dust Bowl during the Depression, Whose Names Are Unknown, was accepted and subsequently turned down by Bennett Cerf at Random House because John Steinbeck’s The Grapes of Wrath had just been submitted. Babb, a journalist who covered the Dust Bowl refugees, writes with intimate and empathic knowledge of her subject. MAT: I’ll fudge by a year or two and choose The Tongue of Adam by Abdelfattah Kilito, translated from French by Robyn Creswell. I picked this miniature book up at Gulf of Maine Books in Brunswick, Maine and was immediately entranced. Kilito is a Moroccan who grew up in two literary worlds-Arabic and French. A prodigious reader and scholar, Kilito’s cross-cultural experience is a launching pad to ask: What language did Adam speak? And why does it matter? Drawing from the Bible, the Qu’ran, and from scholars around the world, The Tongue of Adam is both accessible and delightful. I look forward to reading more of Kilito’s work. MAT: I find the word “critic” to be a misnomer. I don’t read books to criticize them. I read books because they are nourishing and life-sustaining and exponentially expand my world. 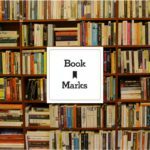 I write about books to share the pleasures they offer. I review books to excite future readers, to champion writers, and to spread learning and joy. That is not to say that all books are created equal; there are some pretty awful ones out there. I don’t want to waste readers’ time reviewing those. What would be the point? I’m not interested in disparaging any writer because I know that just putting pen to paper or fingers to keyboard requires an act of courage. I do, however, try to avoid reviewing books I dislike. On more than one occasion I have bowed out of an assignment where I thought I would have to be too negative. MAT: That is a big topic, and I am not qualified to answer! The demise of many well-respected book review outlets is a loss to all of us. I am not sure whether, and if so, how, that demise is connected to social media. On the other hand, social media has greatly widened the field of people commentating on books that they love. I get a lot of reading suggestions from Twitter. Well-Read Black Girl comes to mind, as well as @tedgioia and @TobiasCarroll. 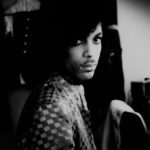 MAT: There are so many, but I’ll call out James Wood at the New Yorker whose depth and eloquence I greatly admire; Dwight Garner of the New York Times, who has an expansive frame of reference; and Ron Charles of the Washington Post, whose clear, accessible style, and well-reasoned opinions are appealing. I also love reading books about books, and have found wonderful recommendations that way. An essay in Toni Morrison’s What Moves at the Margin about her discovery of Gayl Jones’s Corregidora led me to that book, which was a thrilling discovery. Jeanette Winterson’s Why Be Happy When You Could Be Normal?